No one likes giving their hard earned money to the auto shop – especially for damage or a performance issue that isn’t their fault. While the ‘damsel in distress’ image from latter years has changed (including the creation of an all female body shop) and there are many ways for a woman to feel empowered when it comes time to taking the family car in for repair or body work, many women still fear trip to the mechanic. It’s no surprise, then, that most women (and men for that matter) try to spend as little as possible when we do need to see a mechanic. We shop around, and we, usually, choose the cheapest option. Typically, most auto shops will use the same pricing guide, and there are only a couple factors that can cause the disparity in quote prices. 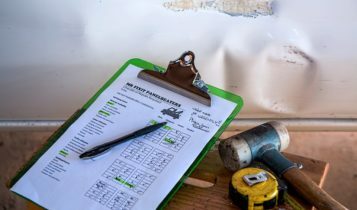 So what is it that really goes into building your auto repair quote? Below, we are going to go over the 3 main aspects that any mechanic will take into consideration when creating your auto quote, giving you the confidence you need! 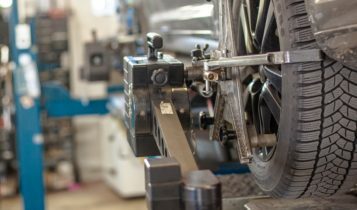 There are a few specific things that go into calculating your auto repair quote when you first call or take your vehicle into the shop. Your mechanic will use a guide to determine how long the repair in question is meant to take. They will then add on additional amount of time to act as contingency, in the event that the repair gets delayed for some reason. Most auto shops use the same guide, so this estimation should change much from location to location. What is the Hourly Labour Rate? Once the mechanic knows approximately how long the job will take, they can calculate the labour costs. This is one of the two main factors that will cause cost disparities between shops. Every shop/mechanic charges a different hourly rate. The higher the hourly rate, the more the quote will be. Of course, there are a variety of reasons why the hourly rate may differ, such as location, shop type (dealerships are almost always more expensive), business costs, and skills level/experience of the mechanic in question. Lastly, the mechanic will determine how much the parts required for the repair will cost. There are two factors involved here that can affect the price: the quality of the parts used and how much the shop paid for the parts versus what their markup is. Of course, the lower quality the parts, the cheaper they will cost – but with choosing low quality parts you risk having to replace them sooner than if you chose higher quality parts. Next time you need to take your vehicle in for repairs, consider these factors. Sure you could choose the cheapest option – but that most likely means the cheapest parts and the least experienced mechanics. After all, you get what you pay for. Rather than choosing your auto shop based on quote price alone, read reviews on their service, quality of their work, etc. Ladies, keep this in mind: Choosing cost over quality now may only end up costing you more in the future. Get it done right the first time!